Woven geotextiles provide a cost-effective solution for the separation of granular fill materials and the provision of sub structure support. 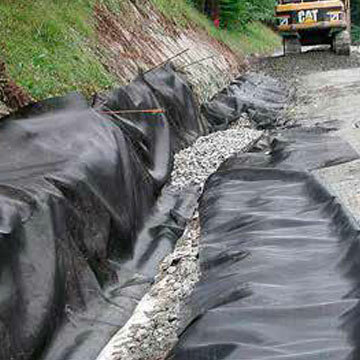 These geotextiles are manufactured by weaving polypropylene tapes together, using this technique gives the fabric its strength and durability. This high tensile strength makes the woven geotextiles suitable for use under patios, paths, and parking areas where a high strength but economical membrane is essential. The most common application is as a separating layer beneath roads, helping to prevent rutting through separation and providing tensile support. At Civils and Lintels we work with Wrekin as our main supplier of premium ground stabilisation and Geotextile membranes. 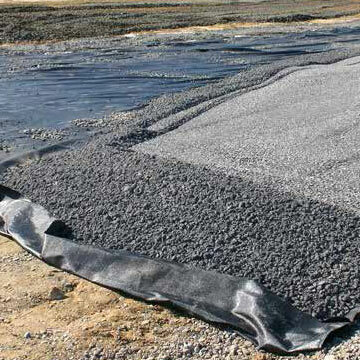 Our range of woven geotextile membranes includes Fastrack, standard grade and high flow. Wrekin Fastrack SG (Standard Grade) – This range of woven Geotextile fabrics is produced with long term performance in mind. It is available in strengths of up to 200kN/m width as standard and CBR puncture strengths ranging from 1800N to 12,500N. Typical applications of this system include separating access roads and areas of hard-standing, separating and reinforcing layers under new roads, car parks & industrial areas, filter layer under artificial sports surfaces and erosion control in coastal defences. Wrekin Fastrack High Strength – This range of woven geotextiles is manufactured from high tenacity polyester yarns offering strengths in the principle load bearing direction up to 400kN/m width. White in colour, these reinforcing fabrics typically offer less than 2% creep after two years at a loading 50% of maximum strength. Typical applications of this product include the reinforcement of soil walls, basal reinforcement of embankments, load transfer platforms, panning over areas of possible mining subsidence. Wrekin Fastrack High Flow – This range of woven geotextiles is designed to provide high water through-flows with optimum particle retention. Manufactured from a mixture of mono and multi filaments of polyester/polypropylene, they can attain water flow rates of up to 700 l/m2/sec. 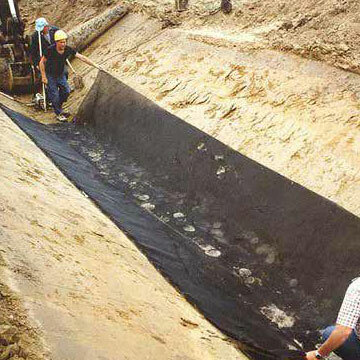 Typical applications of this product include filter wrap to granular drainage trenches, erosion control layer under rock armour, filter layer under artificial sports surfaces, all weather horse arenas, filtration/separation layer in storm control systems. 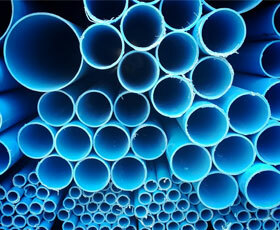 If you have a project that requires ground stabilisation or geotextiles, contact your local branch.